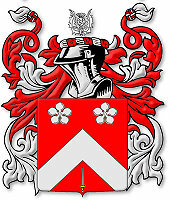 Linked family file JAMX1632 with spouse ancestry HERE. 1. James1 Doig, born abt 1627 Of Rescobie, Angus, Scotland; died Mar 1688 in Auchmuthie, St. Vigeans, Angus, Scotland. He married (1) Janet Morris, born abt 1636 Of Kirkden, Angus, Scotland; died abt 1662 Of Arbroath, Angus, Scotland; (2) on 21 Jul 1664 in Arbroath, Angus, Scotland Isabel Lowson, born abt 1643 Of Arbroath, Angus, Scotland; (3) Agnes Gourley, born abt 1645 Of St. Vigeans, Angus, Scotland. He may be the brother of David Doig on DAVE1620. James was listed in Rescobie Parish in the christening record of his son Archibald in 1657. The testament of James Dog's of Auchmuthie, St. Vigeans was written in Feb 1687 and recorded on 3 May 1688 in the St. Andrews Commissary Court. His spouse Agnes Gourley was nominated executrix, the document witnessed by Andrew Gourley. + 2 i Archibald2 Doig, born 1657 in Rescobie, Angus, Scotland; christened 5 Apr 1657 in Kirkden, Angus, Scotland. He married Magdalene Mill. 3 ii Isabel2 Doig, born 1662 in Arbroath, Angus, Scotland; christened 14 Sep 1662 in Arbroath, Angus, Scotland. 4 i Jean2 Doig, born 1665 in Arbroath, Angus, Scotland; christened 14 Jun 1665 in Arbroath, Angus, Scotland. Notes: Witnesses to Jeane's christening were Hendrie Ruhard and John Beaton. 5 ii John2 Doig, born 1666 in Arbroath, Angus, Scotland; christened 7 Jun 1666 in Arbroath, Angus, Scotland; died Infant in Arbroath, Angus, Scotland. 6 iii James2 Doig, born 1667 in Arbroath, Angus, Scotland; christened 18 Aug 1667 in Arbroath, Angus, Scotland; died Infant in Arbroath, Angus, Scotland. Notes: Witnesses to James' christening were James Nairtaine and James Figyex (?). 7 iv James2 Doig, born 1669 in St. Vigeans, Angus, Scotland; christened 10 Oct 1669 in St. Vigeans, Angus, Scotland; died Infant in St. Vigeans, Angus, Scotland. Notes: James was a twin, listed first in the parish record. Witness to his christening was the Congregation. 8 v John2 Doig, born 1669 in St. Vigeans, Angus, Scotland; christened 10 Oct 1669 in St. Vigeans, Angus, Scotland. Notes: John was a twin, listed second in the parish record. Witness to his christening was the Congregation. + 9 vi Alexander2 Doig, born 1673 in St. Vigeans, Angus, Scotland; christened 21 Jan 1673 in St. Vigeans, Angus, Scotland. He married (1) Mary Lyell; (2) Barbara Hill. 10 vii Elizabeth2 Doig, born 1678 in St. Vigeans, Angus, Scotland; christened 24 Aug 1678 in St. Vigeans, Angus, Scotland. 11 viii Margaret2 Doig, born 1680 in St. Vigeans, Angus, Scotland; christened 26 May 1680 in St. Vigeans, Angus, Scotland. Notes: Witness to Margaret's christening was David Arnot. 12 ix James2 Doig, born 12 Mar 1683 in St. Vigeans, Angus, Scotland; christened 1 Apr 1683 in St. Vigeans, Angus, Scotland. He married on 12 Apr 1711 in Arbroath, Angus, Scotland Margaret Mann, born abt 1690 Of Arbroath, Angus, Scotland. Notes: James lived at Aberbrothock, Arbroath and became Baillie. + 13 x William2 Doig, born 1685 in St. Vigeans, Angus, Scotland; christened 20 Mar 1685 in St. Vigeans, Angus, Scotland. He married Elspeth Jameson. 2. Archibald2 Doig (James1), born 1657 in Rescobie, Angus, Scotland; christened 5 Apr 1657 in Kirkden, Angus, Scotland. He married Magdalene Mill, born abt 1660 Of Arbroath, Angus, Scotland. + 14 i Archibald3 Doig, born abt 1681 Of Carmyllie, Angus, Scotland; died 1753 in Dundee, Angus, Scotland. He married Margaret Dunbar. + 15 ii Janet3 Doig, born 1683 in Arbroath, Angus, Scotland; christened 3 Nov 1683 in Arbroath, Angus, Scotland. She married Thomas Guthrie. + 16 iii David3 Doig, born abt 1685 Of Arbroath, Angus, Scotland. He married Margaret Profit. 9. Alexander2 Doig (James1), born 1673 in St. Vigeans, Angus, Scotland; christened 21 Jan 1673 in St. Vigeans, Angus, Scotland. He married (1) Mary Lyell, born abt 1678 Of Arbroath, Angus, Scotland; (2) Not married Barbara Hill, born abt 1685 Of Arbroath, Angus, Scotland. In 1724 Alexander became the Town Clerk of Arbroath. He instituted the keeping of minutes of the meetings of the Town Council in Feb 1727, which have been regularly kept to this day. 17 i Agnes3 Doig, born 1701 in Arbroath, Angus, Scotland; christened 30 Mar 1701 in Arbroath, Angus, Scotland. Notes: Witness to Agnes' christening was the Congregation. 18 ii John3 Doig, born 1703 in Arbroath, Angus, Scotland; christened 2 Feb 1703. Notes: Witness to John's christening were Provost John Hutcheon and Baillie John Pearson. 19 iii Helen3 Doig, born 1704 in Arbroath, Angus, Scotland; christened 17 Nov 1704 in Arbroath, Angus, Scotland. Notes: Witness to Helen's christening were Provost John Hutcheon and Baillie George Pushlentomy?. 20 iv James3 Doig, born 1706 in Arbroath, Angus, Scotland; christened 31 Dec 1706 in Arbroath, Angus, Scotland. Notes: Witnesses to James' christening were Baillie James Chresos? and James Nevles?. 21 v Margaret3 Doig, born 1709 in Arbroath, Angus, Scotland; christened 10 Jun 1709 in Arbroath, Angus, Scotland. Notes: Witnesses to Margaret's christening were Baillie James Bheus? and ? ...ster. 22 i Frederick3 Doig, born 1706 in Arbroath, Angus, Scotland; christened 4 May 1706 in Arbroath, Angus, Scotland. Notes: Frederick was "begot in adultry." Witnesses to his christening were James Renny and John Boudent?. 13. William2 Doig (James1), born 1685 in St. Vigeans, Angus, Scotland; christened 20 Mar 1685 in St. Vigeans, Angus, Scotland. He married on 27 Nov 1713 in Dundee, Angus, Scotland Elspeth Jameson, born abt 1692 Of Dundee, Angus, Scotland. Witnesses to William's christening were David Arnot and ?. MARRIAGE: They proclaimed marriage on this day. 23 i James3 Doig, born 1715 in Arbroath, Angus, Scotland; christened 10 Dec 1715 in Arbroath, Angus, Scotland. Notes: Witness to James christening was James Doig. 24 ii John3 Doig, born 1724 in Largo, Fife, Scotland; christened 11 Oct 1724 in Largo, Fife, Scotland. 25 iii Margaret3 Doig, born 1727 in Arbroath, Angus, Scotland; christened 1 Sep 1727 in Arbroath, Angus, Scotland. Notes: Mother listed as Elspet Doig. Witnesses to Margaret's christening were Baillie Doig and John Manning. 14. Archibald3 Doig (Archibald2, James1), born abt 1681 Of Carmyllie, Angus, Scotland; died 1753 in Dundee, Angus, Scotland. 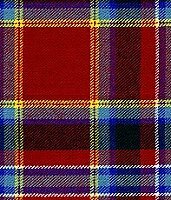 He married on 20 Jun 1713 in Dundee, Angus, Scotland Margaret Dunbar, born abt 1685 Of Dundee, Angus, Scotland, daughter of William Dunbar and Margaret Stouk. Archibald was a merchant in Dundee. On 13 Feb 1717 he served the right of his spouse Margaret Dunbar, daughter of William Dunbar, merchant. [Locket Book of Dundee]. Confirmed at Brechine the eleventh day of may 1700 and fifty three years John Spence Comr Alexr Duncan Comr of the Dundie Court. MARRIAGE: They proclaimed marriage on this day. Archibald was listed from Carmyllie and Margaret of this congregation. She may be the Margaret christened 11 Oct 1685 in Dundee, the daughter of William Dunbar and Jannet Liddell. + 26 i David4 Doig, born abt 1714 Of Dundee, Angus, Scotland; died bef 1787 Of Edinburgh, Midlothian, Scotland. He married Rebecca Grafton. 27 ii Archibald4 Doig, born 1716 in Dundee, Angus, Scotland; christened 19 Jun 1716 in Dundee, Angus, Scotland; died Infant in Dundee, Angus, Scotland. Notes: Archibald was named after Archibald Dog, grandfather, and Archibald Dog, parent. 28 iii Archibald4 Doig, born 1718 in Dundee, Angus, Scotland; christened 5 Jan 1718 in Dundee, Angus, Scotland. Notes: Archibald was named after Archibald Dog and Archibald Dog. In 1746 Archibald was a merchant in Jamaica. 29 iv Janet4 Doig, born 1720 in Dundee, Angus, Scotland; christened 7 Apr 1720 in Dundee, Angus, Scotland. Notes: Janet was named after Janet Doeig and Janet Dumbar, aunts. + 30 v Margaret4 Doig, born 1722 in Dundee, Angus, Scotland; christened 21 Jan 1722 in Dundee, Angus, Scotland. She married Alexander Anderson. 31 vi Ann4 Doig, born 1723 in Dundee, Angus, Scotland; christened 22 Dec 1723 in Dundee, Angus, Scotland. Notes: Ann was named after Ann Eufon daughter to David Dunbar, merchant. 32 vii James4 Doig, born 1725 in Dundee, Angus, Scotland; christened 14 Mar 1725 in Dundee, Angus, Scotland; died Infant in Dundee, Angus, Scotland. Notes: James was named after James Hay, merchant, James Doig, Baillie in Aberbrothock, Arbroath, and James Fairweather, late Baillie. 33 viii James4 Doig, born 1726 in Dundee, Angus, Scotland; christened 25 Sep 1726 in Dundee, Angus, Scotland. Notes: James was named after Baillie James Fairweather, Baillie James Doeig in Aberbrothock, Arbroath and Baillie James Doeig in Brechin. 15. Janet3 Doig (Archibald2, James1), born 1683 in Arbroath, Angus, Scotland; christened 3 Nov 1683 in Arbroath, Angus, Scotland. She married on 22 Dec 1715 in Arbroath, Angus, Scotland Thomas Guthrie, born abt 1683 Of Arbroath, Angus, Scotland. Witnesses to Janet's christening were Alexander Littlejohn and James Dogge. The following link is uncertain and based on approximate age, location, and a son named Archibald. 34 i Archibald4 Guthrie, born 1717 in Arbilot, Angus, Scotland; christened 8 Apr 1717 in Arbilot, Angus, Scotland. 35 ii Margaret4 Guthrie, born 1718 in Arbilot, Angus, Scotland; christened 2 Dec 1718 in Arbilot, Angus, Scotland. + 36 iii David4 Guthrie, born 1720 in Arbilot, Angus, Scotland; christened 7 Oct 1720 in Arbilot, Angus, Scotland. He married Janet Clark. 37 iv John4 Guthrie, born 7 Nov 1722 in Arbilot, Angus, Scotland; christened 9 Nov 1722 in Arbilot, Angus, Scotland. 38 v Isabel4 Guthrie, born 12 Mar 1725 in Arbilot, Angus, Scotland. 39 vi James4 Guthrie, born 21 Aug 1727 in Arbilot, Angus, Scotland. 40 vii Alexander4 Guthrie, born 1729 in St. Vigeans, Angus, Scotland; christened 17 Jan 1729 in St. Vigeans, Angus, Scotland. 41 viii William4 Guthrie, born 1729 in St. Vigeans, Angus, Scotland; christened 17 Jan 1729 in St. Vigeans, Angus, Scotland. 16. David3 Doig (Archibald2, James1), born abt 1685 Of Arbroath, Angus, Scotland. He married on 2 Dec 1709 in Arbroath, Angus, Scotland Margaret Profit, born abt 1688 Of Arbroath, Angus, Scotland. The link of David Doig to father Archibald Doig is based on approximate age, location, and a son named Archibald. Or, he may be the son of David Doig and Magdalen Fullerton who married on 26 Nov 1674 in Arbroath, a possible brother of Archibald. 42 i Ann4 Doig, born 1711 in Arbroath, Angus, Scotland; christened 26 Apr 1711 in Arbroath, Angus, Scotland. Notes: Witnesses to Ann's christening were the Congregation. 43 ii Janet4 Doig, born 1713 in Arbroath, Angus, Scotland; christened 13 Feb 1713 in Arbroath, Angus, Scotland. Notes: Witnesses to Janet's christening were Hercules Lowssey and son. 44 iii Isabel4 Doig, born 1714 in Arbroath, Angus, Scotland; christened 29 Nov 1714 in Arbroath, Angus, Scotland. Notes: Witnesses to Issobell's christening were Alexander Pedie and David Smart. 45 iv Archibald4 Doig, born 1716 in Arbroath, Angus, Scotland; christened 9 Sep 1716 in Arbroath, Angus, Scotland. Notes: Witnesses to Archibald's christening were the Congregation. 46 v David4 Doig, born 1718 in Arbroath, Angus, Scotland; christened 29 May 1718 in Arbroath, Angus, Scotland. Notes: Witnesses to David's christening were George Profite and David Suter. 26. David4 Doig (Archibald3, Archibald2, James1), born abt 1714 Of Dundee, Angus, Scotland; died bef 1787 Of Edinburgh, Midlothian, Scotland. He married Rebecca Grafton, born abt 1721 Of Falkirk, Stirling, Scotland. David is listed as an uncle and writer in Falkirk in the christening record in 1748 of David Anderson, son of his sister Margaret Doig. David was a writer and merchant in Falkirk, Stirling. He moved to Edinburgh in 1748 where he became a customs agent, or Landwaiter, in Leith. 48 ii James5 Doig, born 23 Jan 1747 in Falkirk, Stirling, Scotland; christened 26 Jan 1747 in Falkirk, Stirling, Scotland. Notes: Witnesses to James' christening were James Grafton and George Denniston. 49 iii Mary5 Doig, born 26 Sep 1748 in Edinburgh, Midlothian, Scotland. + 50 iv Margaret5 Doig, born 13 Nov 1749 in Edinburgh, Midlothian, Scotland. She married John Alexander Esq..
51 v Rebecca5 Doig, born 11 Mar 1751 in Edinburgh, Midlothian, Scotland; buried 11 Jan 1790 in South Leith, Midlothian, Scotland. Notes: Rebecca did not marry. 30. Margaret4 Doig (Archibald3, Archibald2, James1), born 1722 in Dundee, Angus, Scotland; christened 21 Jan 1722 in Dundee, Angus, Scotland. She married Alexander Anderson, born abt 1718 Of Dundee, Angus, Scotland, son of Alexander Anderson. Margaret was named after Margaret Hunter and Margaret Davidsone. 52 i Alexander5 Anderson, born 10 Jan 1743 in Dundee, Angus, Scotland; christened 23 Jan 1743 in Dundee, Angus, Scotland. Notes: Alexander was named after Alexander Anderson, grandfather, Alexander Brown, maltman, Alexander Gib, flesher, Alexander Anderson in Bonhard, Alexander Keigh in Abberbrothick, and Alexander Husband, merchant. 53 ii Margaret5 Anderson, born 1744 in Dundee, Angus, Scotland; christened 16 Aug 1744 in Dundee, Angus, Scotland. Notes: Margaret was named after Margaret Dumbar, grandmother, Margaret Kid, Margaret Anden, and Margaret Stouk, great-grandmother. 54 iii Archibald5 Anderson, born 22 Mar 1746 in Dundee, Angus, Scotland; christened 22 Mar 1746 in Dundee, Angus, Scotland. Notes: Archibald was named after Archibald Doig, maternal grandfather, and Archibald Doig, merchant in Jamaica, uncle. 55 iv David5 Anderson, born 25 Feb 1748 in Dundee, Angus, Scotland. Notes: David was named after Mr. David Kerr, schoolmaster in Monifieth, David Doig, writer in Falkirk, uncle, and David Anderson, uncle. 36. David4 Guthrie (Janet3 Doig, Archibald2, James1), born 1720 in Arbilot, Angus, Scotland; christened 7 Oct 1720 in Arbilot, Angus, Scotland. He married Janet Clark, born abt 1720 Of Arbilot, Angus, Scotland. The link to marriage is uncertain. 56 i Andrew5 Guthrie, born 1740 in Arbilot, Angus, Scotland; christened 11 May 1740 in Arbilot, Angus, Scotland. 57 ii Jean5 Guthrie, born 1742 in Bankhead, Angus, Scotland; christened 5 Sep 1742 in Bankhead, Angus, Scotland. 58 iii David5 Guthrie, born 1745 in Carmyllie, Angus, Scotland; christened 7 Jul 1745 in Carmyllie, Angus, Scotland. 59 iv Isobel5 Guthrie, born 1748 in Carmyllie, Angus, Scotland. 50. Margaret5 Doig (David4, Archibald3, Archibald2, James1), born 13 Nov 1749 in Edinburgh, Midlothian, Scotland. She married on 24 Nov 1787 in South Leith, Midlothian, Scotland John Alexander Esq., born abt 1749 Of Leith, Midlothian, Scotland. MARRIAGE: Margaret was listed as the daughter of the deceased David Doig, Landwaiter in Leith. Notes for John Alexander Esq. John lived at Rosebank, Leith. 60 i John Shackleford6 Alexander, born 25 Aug 1791 in South Leith, Midlothian, Scotland; christened 21 Sep 1791 in South Leith, Midlothian, Scotland. Notes: Witnesses to John's christening were Mr. Davidson, writer in Edinburgh, and Thomas Neilson, merchant in Edinburgh.